Directed by Vijay Ratnakar Gutte, the film is slated to hit the silver screens on January 11. 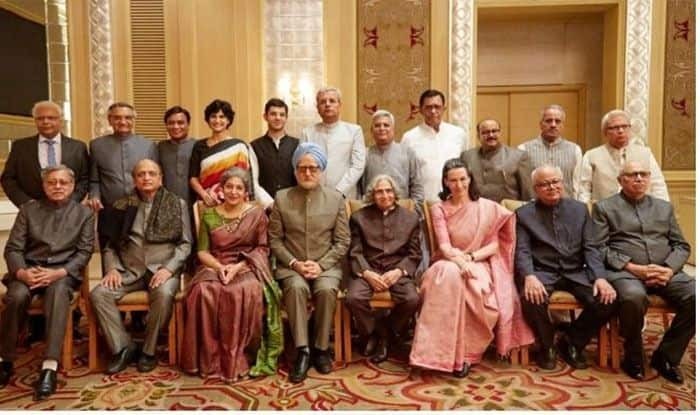 New Delhi: Congress-ruled Madhya Pradesh government may ban the release of Anupam Kher-starrer ‘The Accidental Prime Minister’ in the state. Notably, the trailer of the film which was released on Thursday has sparked a controversy after the grand old party has alleged distortion of facts. Based on 2014 book written by former prime minister Manmohan Singh’s media adviser Sanjaya Baru, the film shows Singh as the victim of the inside politics of the Congress party ahead of 2014 general elections, which the UPA (United Progressive Alliance) lost. “I have written a letter to the director, we strongly object to the name and what was shown in the trailer. We want to see the film prior to release or else won’t let it release in the state,”Syed Zafar, Madhya Pradesh Congress, said while speaking to ANI. Besides, Madhya Pradesh government, the Maharashtra Youth Congress has also demanded a prior screening of the movie. It has claimed that it shows the party leaders in a ‘disparaging’ manner. “If the said movie is released without prior screening for our office bearers and without making necessary changes recommended by us that we find out after viewing the movie it will be understood that you are doing this deliberately and we have other options open to stop the screening of the same across India,” the Congress unit said in its letter. Hitting out at Bharatiya Janata Party, Congress spokesperson Randeep Surjewala called it a fake propaganda by the the ruling party ahead of the 2019 general elections. “Such fake propaganda by BJP won’t desist INC India from questioning the Modi Govt on – Rural Distress, Rampant Unemployment, Demonetisation Disaster, Flawed GST, Failed Modinomics, All pervading Corruption!” Surjewala tweeted. Earlier on Thursday, while speaking to reporters, veteran actor Anupam Kher, who is essaying the role of former Prime Minister Dr Manmohan Singh in the movie, had said that the film is a “game changer” in political biopics as it does not shy away from taking real names.